This AFI Conservatory Directing Workshop for Women short film completed principle photography and is now completed! Shot over a period of four days in Santa Clarita, California, over 70 crew and cast members came together to make something special. Half of the crew for former military veterans who donated their time to make this short film possible. The writer and director of the film is a U.S. Army veteran of Iraq and Afghanistan. AMERICAN GIRL is a film about a young spunky Guatemalan girl who is driven by her late father’s dream to become an American. Accompanied by a retired smuggler, the two set out on a dangerous 2,000 mile journey through Mexico to reach the American border. Together they must overcome ruthless drug smugglers, human traffickers, and the harsh desert. But her journey doesn’t end there. The ending of the film reveals the sacrifices that immigrants make. LOS ANGELES, CA, APR 17, 2015 – Chicago native and currently active U.S. Army Reserve Captain and Public Affairs Officer, Rebecca Murga has been selected from hundreds as one of ten privileged applicants to participate in the prestigious AFI Conservatory Directing Workshop for Women for 2015. She is the first member of the military to be selected since the program's inception in 1974. This hands-on intensive workshop is dedicated to increasing the number of women working professionally in screen directing. Only 6% of screen directors are women. Emmy-nominated writer and award-winning director Jill Soloway will serve as Artist-in-Residence for the incoming 2015 participants, along with established directors Gina Prince-Bythewood (“Beyond the Lights”) and Daisy von Scherler Meyer ("Orange Is the New Black"). In addition to her current military service, Murga works in Los Angeles as a writer, producer, and director of news and documentary films in both English and Spanish. Her work has been featured on major networks such as Mundo Fox, ABC, CBS, and AFN. 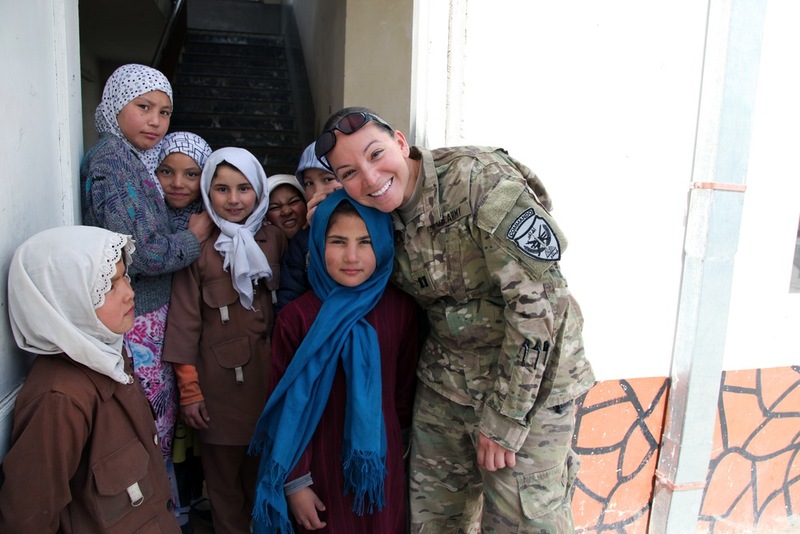 Murga has served in Iraq, Kuwait, and Afghanistan, and is a passionate advocate for veterans and women's issues. She is a member of the American Legion Post 43 and the networking group Women in Film. She sits on the Advisory Board of Veterans in Film & Television, an educational organization for military veterans, which she credits for helping her career thus far. The AFI workshop project will require Murga to write and direct a short film that will be screened at an annual showcase for agents, managers, producers, and executives at the Directors Guild Theater in Los Angeles in May, 2016. 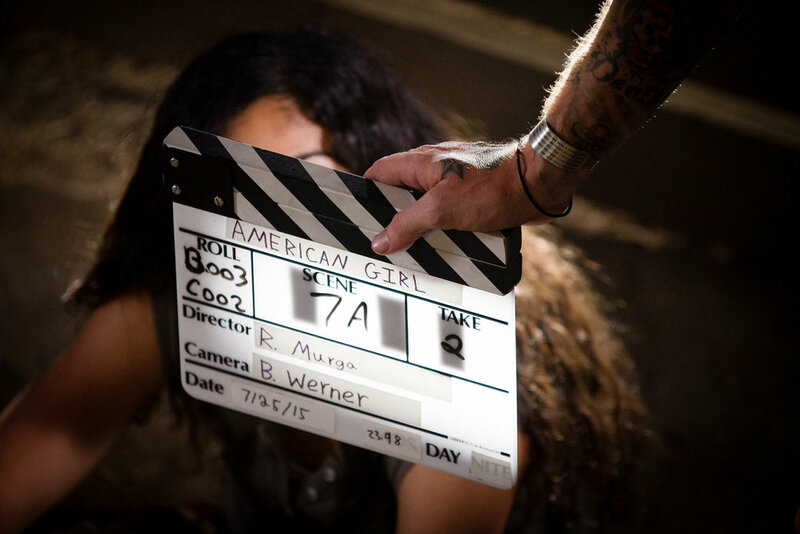 Her film is called AMERICAN GIRL. American Girl cast and crew day 1 at Golden Oak Ranch. VARIETY - MAY 15, 2015 - “Transparent” creator Jill Soloway delivered the keynote address to the students of AFI’s Directing Workshop for Women’s 2015 Showcase Thursday night at the Directors Guild of America. For example, for the first time this year, women began training at the Army's notoriously tough Ranger School, another step in the opening of ground combat occupations to female soldiers. The Marine Corps in 2014 opened up 11 military occupational specialties to female Marines. Jill Soloway writer and director. INDIEWIRE - APRIL 17, 2015 - "Transparent" creator and "Afternoon Delight" writer-director Jill Soloway will deliver the keynote address at the AFI Directing Workshop for Women (DWW) Showcase on May 14. 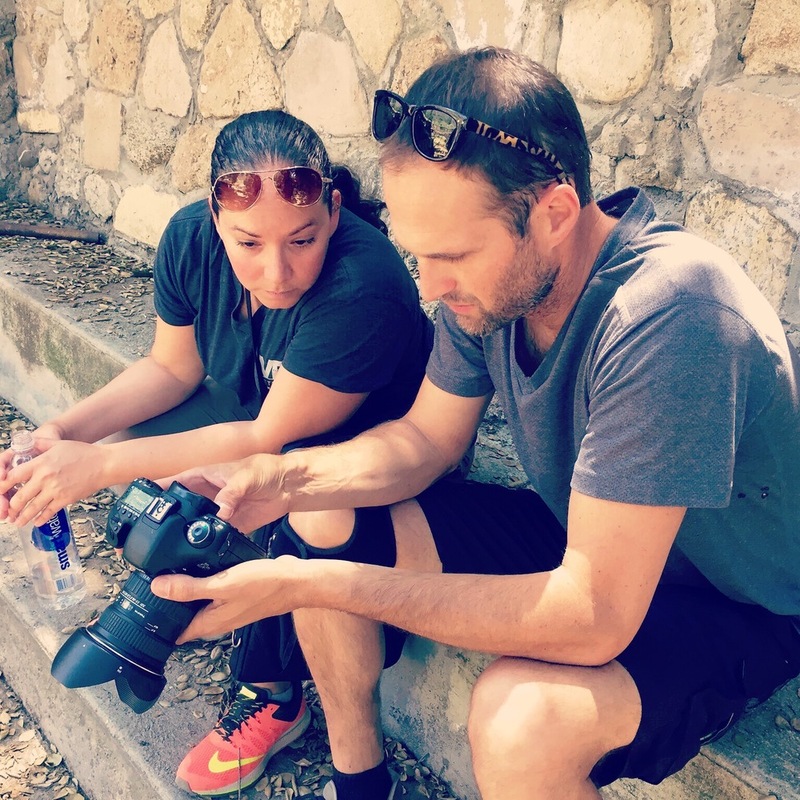 Soloway will serve as the Artist-in-Residence for the incoming 2015 participants alongside filmmaker Gina Prince-Bythewood ("Beyond the Lights") and TV director Daisy von Scherler Mayer ("Orange is the New Black"). VARIETY - OCTOBER 7, 2014 - The American Film Institute Directing Workshop for Women has created an “Executive Circle,” consisting of 13 execs who will act as mentors to filmmakers there.